There are approximately 29 million people living with diabetes in the United States — that’s nearly 10 percent of the population. With obesity rates reaching an all-time high, it’s frightening to know that around 90 to 95 percent of all diagnoses are type 2 — meaning lifestyle factors play a significant role. What’s even more frightening is that one out of three American adults is currently living with prediabetes and 90 percent of these individuals are unaware that they have it. For those who are borderline diabetic, if they do not change their lifestyle habits, 15 to 30 percent of this population will develop diabetes within five years. Once you do develop this disease, it’s too late. There is no cure and although symptoms can be managed, serious complications can arise — from heart disease and kidney failure to blindness and the loss of limbs. To avoid these serious complications, you need to take preventative measures far before any issues arise. In order to reduce your risk of insulin resistance while maintaining your overall health, you need to make good decisions on a daily basis. That means changing current habits and routines; instead of reaching for a soda with lunch, drink water. Instead of eating processed foods, opt for whole food options. 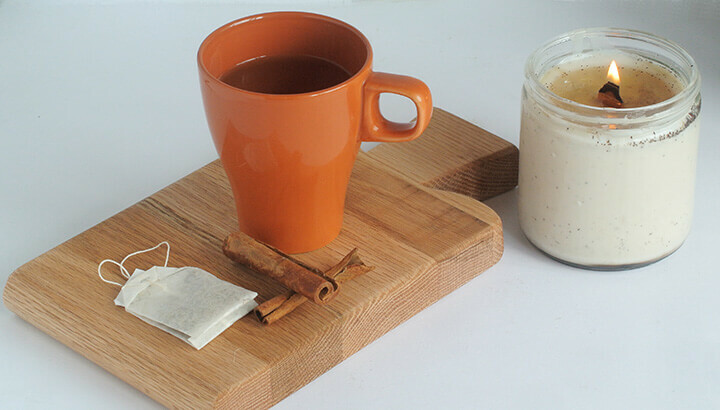 Instead of chowing down a piece of cake after dinner, drink cinnamon tea. There’s no doubt that cinnamon is delicious — but aside from its bold, warming flavor, this spice also offers powerful health benefits. 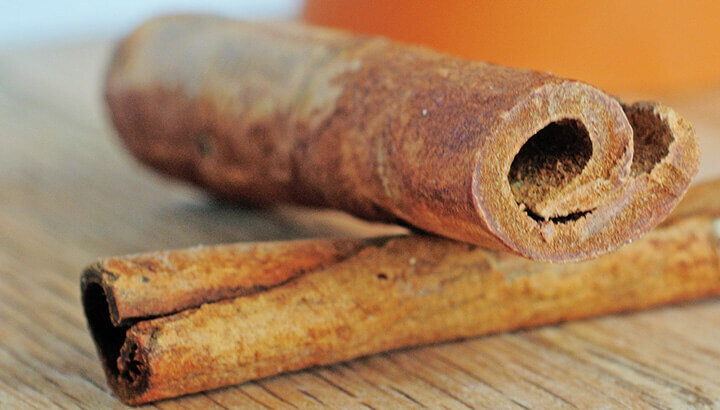 If you’re already living with diabetes, cinnamon has been shown to improve glucose levels. Within one study published in Diabetes Care, 60 people with type 2 diabetes consumed either one, three, or six grams of cinnamon daily, as well as three placebo groups. What they found was that all three cinnamon groups displayed improvements. They reduced fasting serum glucose, triglycerides, LDL (“bad”) cholesterol and total cholesterol. Researchers concluded that cinnamon added to the diet of diabetics could essentially reduce life-threatening risk factors, including cardiovascular diseases. Although cinnamon is particularly beneficial for those who struggle with their fasting blood glucose levels, everyone can benefit from its health-boosting properties. Whether you’d like to reduce your risk of future complications or just cut back on sweets, this post-dinner beverage will limit your intake of sugar and improve your health. 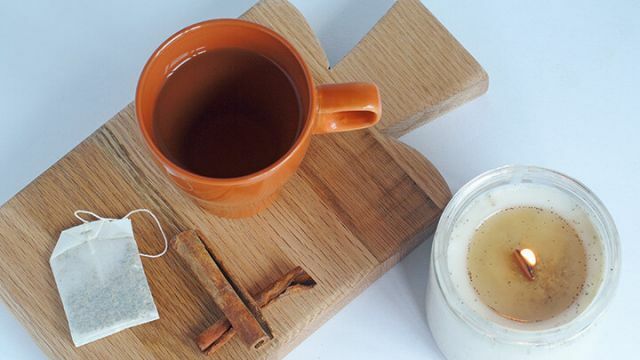 There are a number of ways that you can make this tea — all starting with cinnamon sticks. Depending on your personal preference, you can use whichever accompanying tea you’d like. In this case, we’re using ginseng — as this herbal tea helps normalize blood sugar levels as well. Although you can most certainly steep the cinnamon sticks on their own, some prefer an added flavor to satisfy their after-dinner cravings. By choosing a tea such as ginseng, you achieve a more full-flavored tea without needing to use any sugar or sweeteners. 1. Start by boiling water, steeping the cinnamon and optional tea for 8 to 10 minutes. 2. Once finished, do not throw away the cinnamon stick. You can use it for another tea or within a nice simmering batch of housewarming potpourri. Hey Buddy!, I found this information for you: "Balance Your Blood Sugar With Cinnamon Tea". Here is the website link: https://www.thealternativedaily.com/balance-blood-sugar-with-cinnamon-tea/. Thank you.